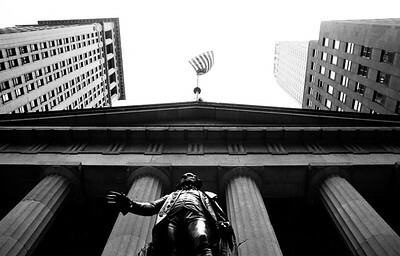 November, 2008, New York - Photograph of George Washington status ; Federal Building Wallstreet. 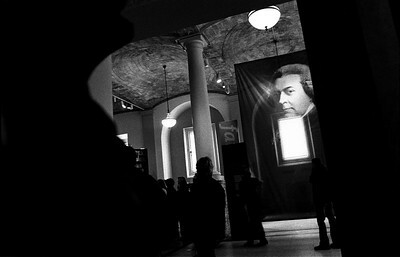 2007, Boston -Portrait of John ADAMS, one of the founding fathers of USA. 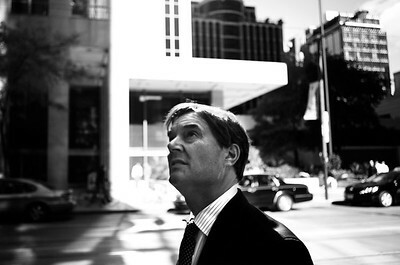 October 2007, Toronto - Portraits of executives seen at downtown bank in Toronto. 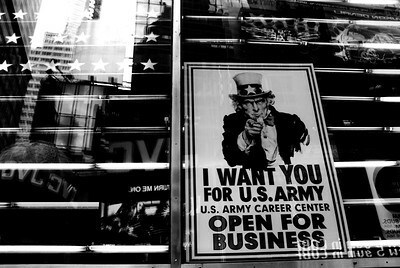 October , 2007, New York - US ARMY Recruitment Campaign seen at Time square. 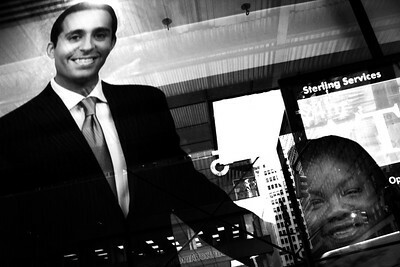 May, 2008, New York - A advert. 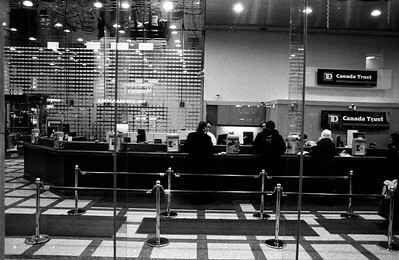 for a bank seen on the widows of a shop near Time Square USA. 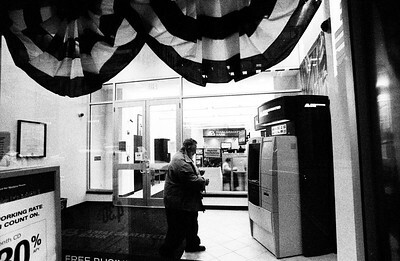 November, 2008, New York - A man approaches the ATM to withdraw money in the Financial District in New York. 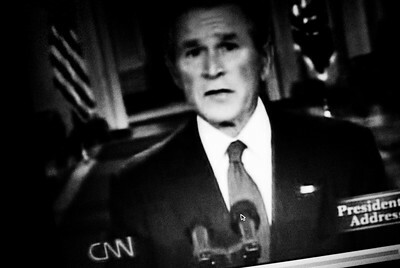 October, 2008, New York - President bush address the nation on TV about the Financial crisis. 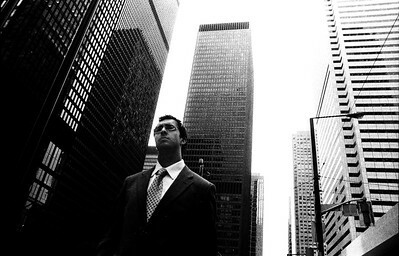 November, 2008, Toronto - A white collar bay street employee seen in the bay street - Financial district of Toronto. 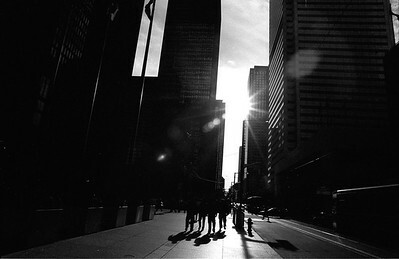 November, 2008, Toronto - Photograph of the First Canadian place - a major landmark in the Financial district of Toronto, which has many financial and legal offices. 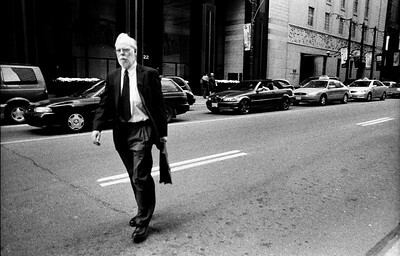 November, 2008, Toronto - A man crosses the road in Bay Street - Toronto's Financial district. 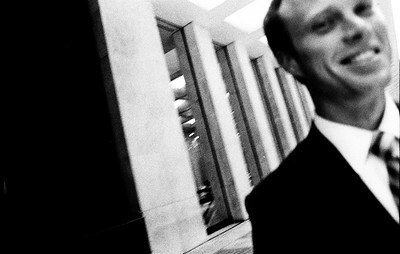 November, 2008- Toronto - An young attorney at a law firm says "He is too young to worry about his investments". 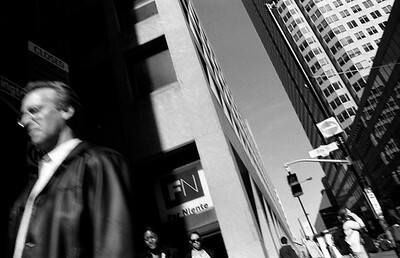 Photographed in the bay street. 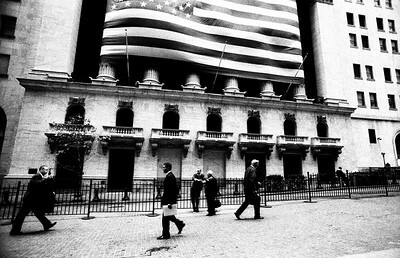 November, 2008, New York - Group of white collar men, gather in front of the NYSE. 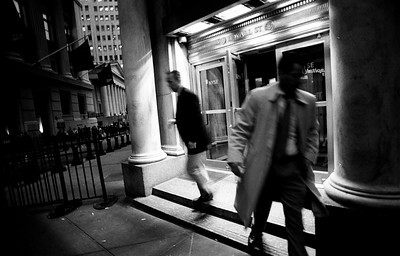 November, 2008, New York - Workers leave New York Stock Exchange after days work, NYSE, Wall Street, USA. 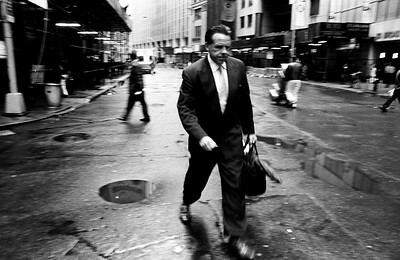 November, 2008, New York - A white collar worker crosses street in the Financial district of New York, USA. 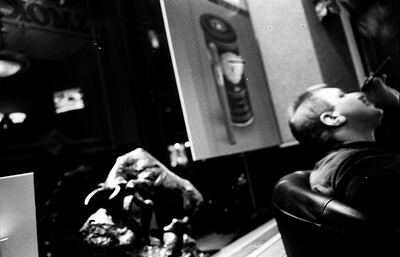 November, 2008, New York - A man smokes cigar at Wallstreet cigar shop. 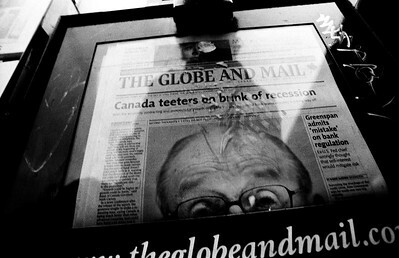 November, 2008, Toronto- Canada's National news paper reports Alan Greenspan's testimony at the US Congress and the news about Canada's recession. 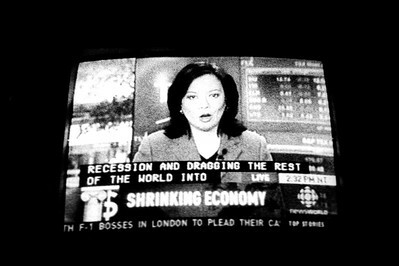 November, 2008, Toronto - Canadian Broad Casting corporation reports the economic crisis; the economic crisis has been on the news headlines every day in October and November. 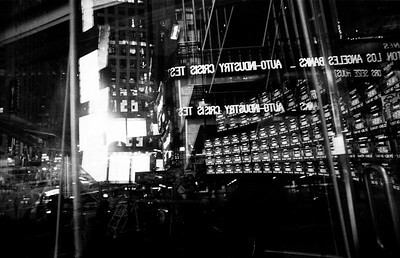 November, 2008, New York - Reflection of NADAQ Indices seen at TimeSquare. 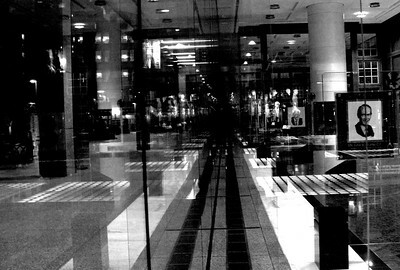 The headlines flash " AUTO INDUSTRY CRISIS"
November, 2007, Toronto - Photograph of one of Canada's banks located in Toronto's financial district. 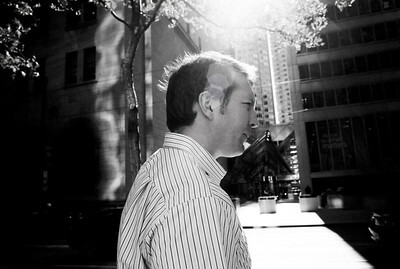 November, 2008, New York - A white collar worker executive seen in front of New York Stock Exchange, USA. 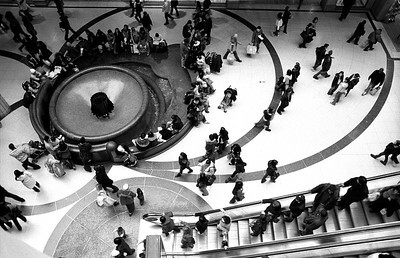 November, 2008, New York - An aerial view of the New York Stock Exchange in New York. 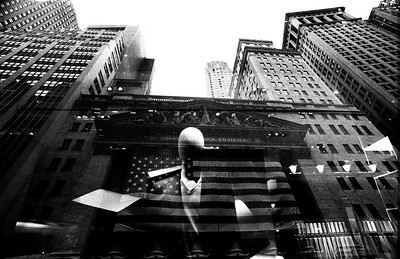 The NYSE has been center of news coverage during the economic turmoil. 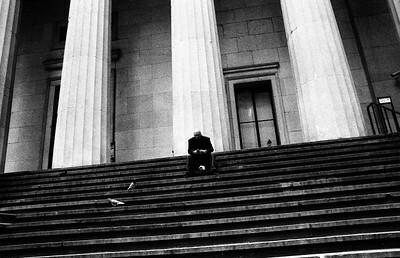 November, 2008, New York - A man with his heads down checking his blackberry seen on the steps of Federal Hall, National First Capital building. 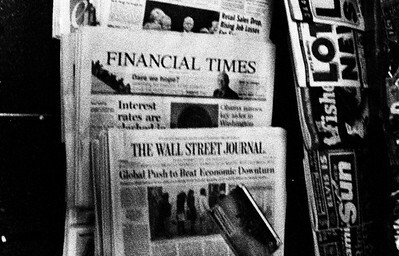 November, 2008, New York - The financial crisis has been the headline in many news papers during the later months of 2008. 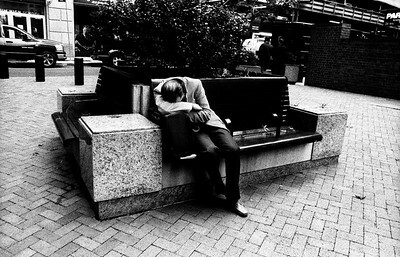 November, 2008, New York - A white collar worker rests his head on his accountant bag on street bench in the WALL STREET , Financial district in New York. 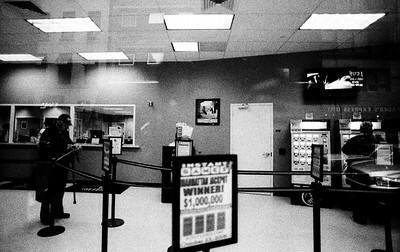 November, 2008, New York - A man enters a bank to with draw money in Broadway, New York. 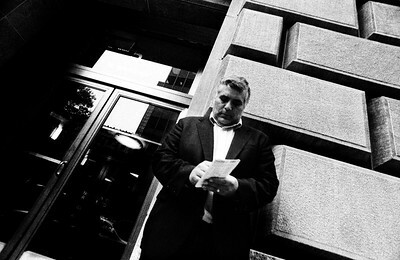 November, 2008, New York - A man seen with his Lottery ticket in the WALL STREET area of Financial district in New York. 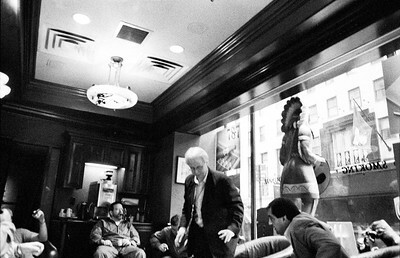 November, 2008, New York - Men smoking cigars at a cigar shop on Wallstreet. 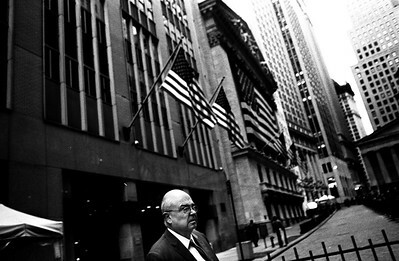 November, 2008, New York - Men seen in front of New York Stock Exchange, which has been in the center of attraction of news and politics for the most of part of 2008. 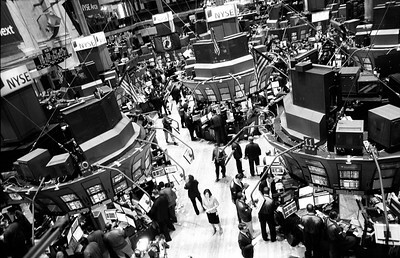 November, 2008, New York - New York Stock Exchange, the nucleus of the world's economy. 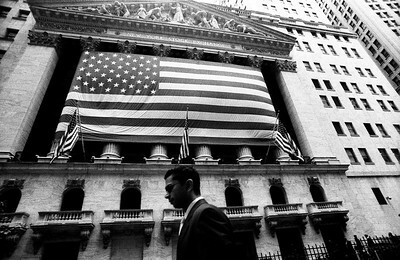 The trading results come from NYSE impacts the stock exchanges around the world. 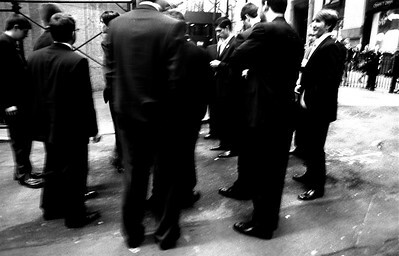 November, 2008, New York - A group of white collar men seen at WALLSTREET, New York's financial district. 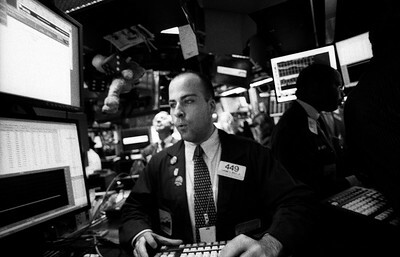 November, 2008, New York - Stock brokers during a trading session at New York Stock Exchange. 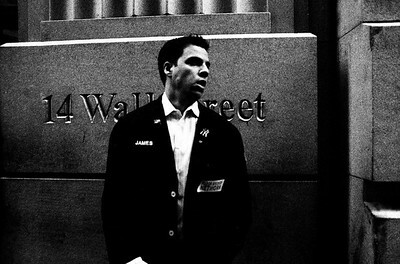 November, 2008, New York - A stock broker taking break from the day's trading. 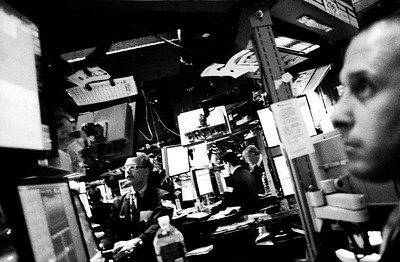 November, 2008, New York - Media personal report from the trading floor of NYSE about the day's financial situation. 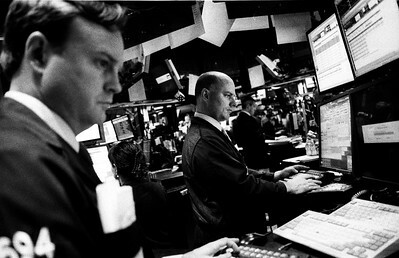 November, 2008, New York - Stock brokers during a trading at New York Stock Exchange. 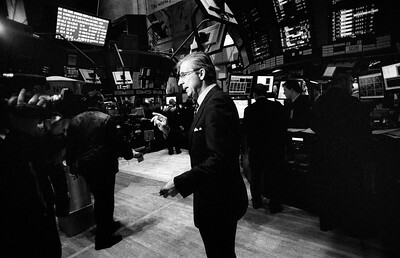 November, 2008, New York - Stock brokers trading at New York Stock Exchange. 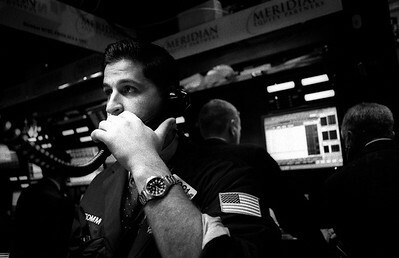 November, 2008, New York - A stock broker watches the stock prices during a trading session at New York Stock Exchange. 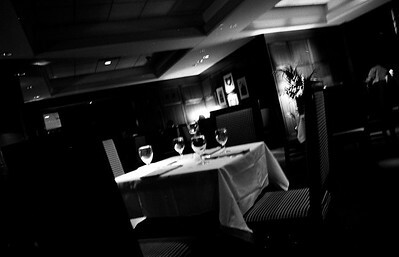 2007,Boston - Empty table at an upscale restaurant. 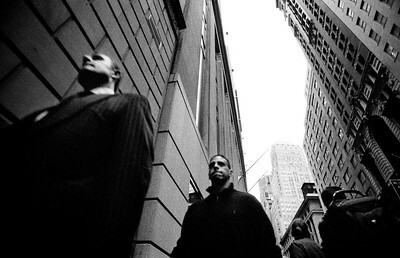 November, 2007, New York - A group of men seen at the Financial district of Toronto. 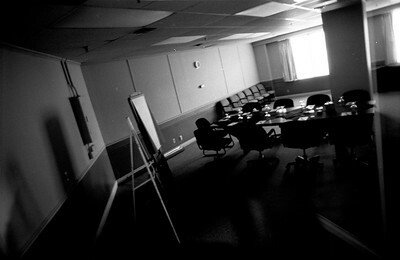 2007, Toronto - A meeting room seen through glasses in Toronto. 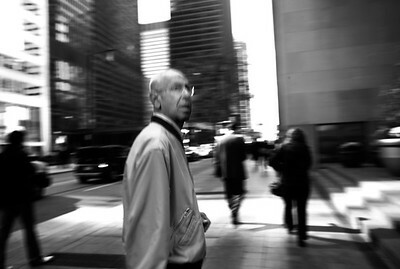 October, 2008, Toronto - Men react to plunging stock prices at Toronto's financial district. 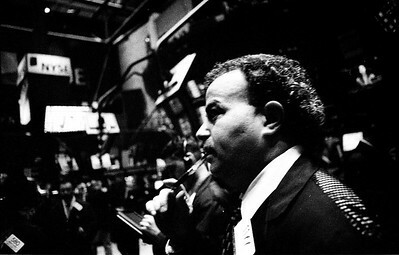 October, 2008, Toronto- Men react to plunging stock prices at Toronto's financial district. 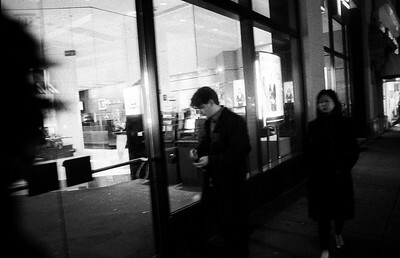 2007, Toronto - Consumers seen at shopping mall in Toronto. 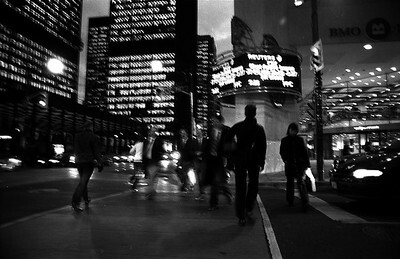 2007, Toronto - A Scene of Toronto's financial district, which has been centre of many news media during the ongoing global economic crisis. 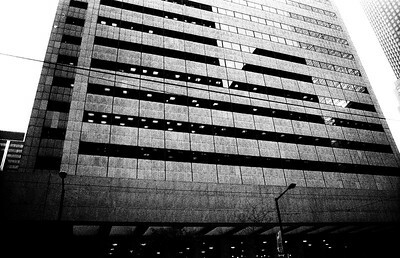 2007, Toronto - Men and women seen at Toronto's financial district.